On behalf of Admin of JML Law, A Professional Law Corporation posted in Wage Fraud on Friday, Sep 21 2018. In some good news for California workers, the US Department of Labor recently ordered a California company to pay $3.5 million in backpay. California Cartage, a logistics firm working out of the Port of Los Angeles, has to settle with 1,416 workers, including subcontractors after an investigation found that the company had not paid required wages and benefits. The reason they are being hit so hard is that they had been contracted by the Customs and Border Protection Agency, which means they were required to adjust their pay and benefits to federal government standards. Instead, they gambled that nobody would find out they made no changes in an attempt to save money. This is not a singular case. Many companies do the same thing. Some just flat out break the law and do not pay what is required. 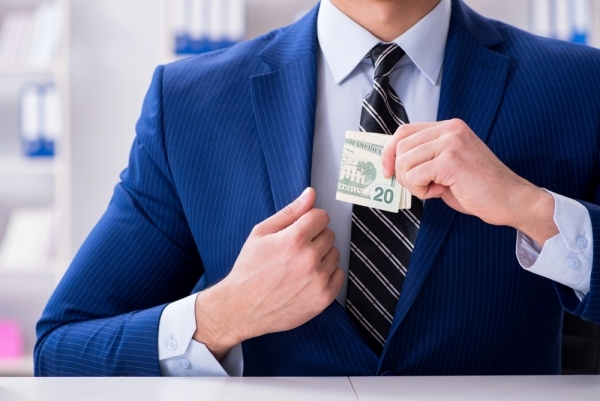 Wage fraud laws cover many different things, not just salaries. Companies must pay required state minimum wage, which is now increasing across the state. Some local jurisdictions have their own minimum wages. Overtime is something that is overlooked by many employers. Any time an employee works more than 8 hours in a workday or more than 40 hours in a workweek, they must receive overtime unless there are specific exemptions. Rest and meal times are required for workers. If these periods are not provided, workers must be compensated appropriately. We understand that people are scared to report wage fraud. Often, employers have the upper hand because they know many of their employees cannot afford to lose their jobs. Often, wage fraud goes unreported for years. Wage fraud is especially prevalent in industries that employ minorities, particularly immigrants. California has taken steps to protect immigrants, whether legal or undocumented, from wage fraud. California Cartage has been in trouble with the law before, particularly when it comes to falsely classifying employees as independent contractors instead of full-time employees. This matters because employers do not have to pay any taxes or provide benefits to independent contractors. This is a common workplace practice, but it is also illegal unless both parties agree to it. Companies often do anything they can to avoid taxes and fees, and wage fraud is just one tool they have. They hurt workers and they hurt society. If you think you have been the victim of wage fraud, you should report it to your supervisor. We know that this is scary and that they may threaten you with your job. That is where JML Law will step in. Seek legal assistance if you think you are being treated unfairly. We will stop at nothing to ensure that you receive compensation, including back pay, for what you have been through. Wage fraud is underreported, but we know it is prevalent. When you need a Los Angeles wage fraud attorney, you can contact us by clicking here or calling us at 818-610-8800 for a free consultation.